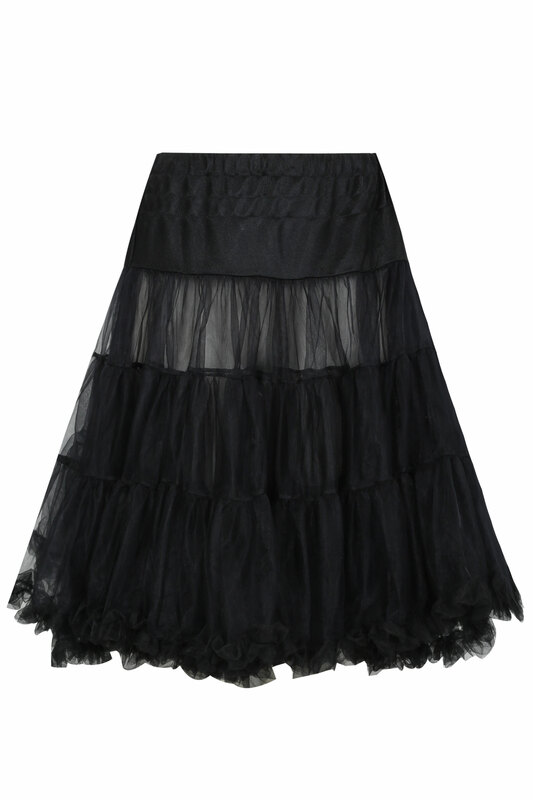 Length from (approx) : 76cm/30"
Plus size HELL BUNNY black petticoat flare skirt. Has and elasticated waistband for easy fit and features 2 tiers of 30" material giving it an extreme flare. 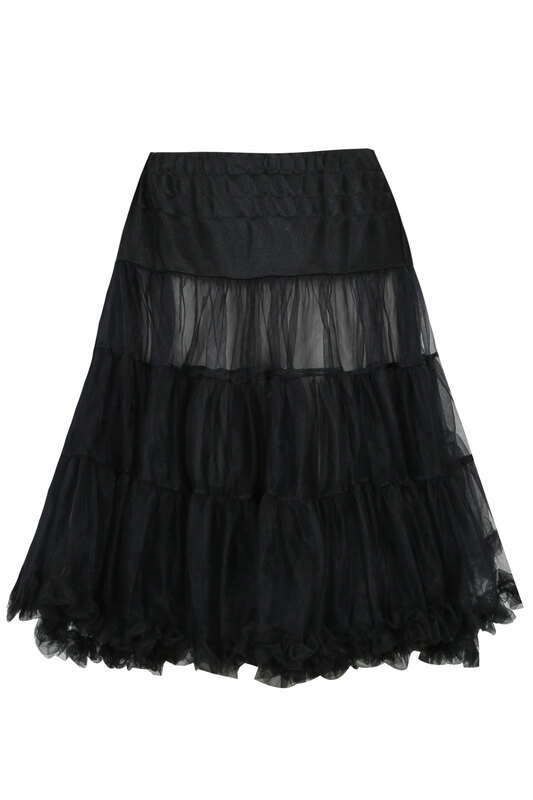 Can be worn as a skirt or under a dress for a 50's inspired look.